No is not enough, says Naomi Klein, so if no isn’t sufficient, what might be? This week, ​Laura Flanders talked with author/activist Gar Alperovitz, co-chair of the Next System Project (a framework for imagining ‘the next system’ of governance, democracy, and security). 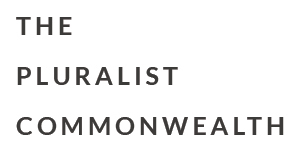 From the gloom of today, he sees the principles of a Pluralist Commonwealth emerging. How specifically might it be possible to move forward, especially in difficult political times, to lay foundations for a transformation in the direction of a serious new systemic answer? Gar Alperovitz joined Joy LaClaire on Forthright Radio on June 21, 2017 to respond to these questions and discuss his new handbook, Principles of a Pluralist Commonwealth.